Official Google Cloud Blog: The science of keeping teams happy & engaged: Q&A with Laszlo Bock, author of "Work Rules!" 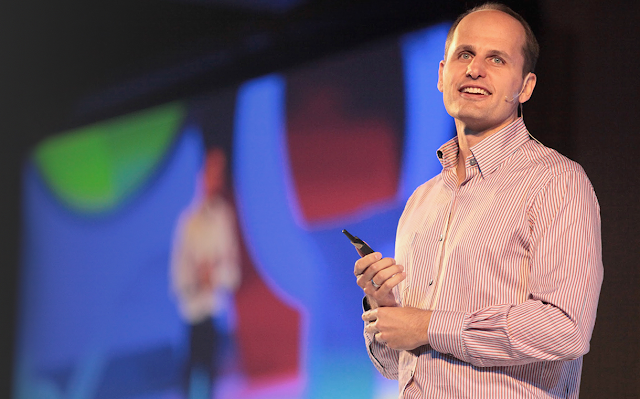 The science of keeping teams happy & engaged: Q&A with Laszlo Bock, author of "Work Rules!" As we ramp up for Atmosphere15, an interactive event about innovation, we’re sharing a few sneak peeks from some of the disruptors joining us as speakers. Today, Google for Work President Amit Singh talks with Laszlo Bock, Senior Vice President of People Operations at Google and author of “Work Rules!” Register here for the June 2nd (in North and South America and Europe) and 3rd (in Asia Pacific) event, where leaders from Google, IDEO, Airbnb, PwC, Fossil and others will share insights around innovation. Amit Singh: In your new book, “Work Rules!” you share insights from your leadership experience and research. What inspired you to put these insights out to a more general audience? Laszlo Bock: We spend more time working than we do anything else. More time even than we spend with our loved ones! And yet, for too many people, their job is just a means to an end. But work can and should be so much more. We’ve learned a lot over the years about what makes work more meaningful and productive – we’ve studied this at Google, reviewed the academic research and listened to companies far away from Silicon Valley doing inspiring things on the people front. I wanted this book to provide insights from all these sources to help others bring more happiness to the workplace, and to help us all find more inspiration and meaning in the work we do. Amit: Is there anything we can do from a leadership or management standpoint to make work more meaningful for our teams? Be predictable and act in a consistent way. If your team can predict what you’re going to do nine times out of 10, and if your decisions are driven by a clear set of principles, they won’t have to come to you every single day on every single issue. This way, whether you give your team narrow guardrails or wide ones, they know that within that span they can do anything and can define their jobs. And that’s empowering. Serve your team. Our role as managers is to make our team more effective and excited about the work they do. If we focus only on our own achievements, we minimize the work of our team — and by extension, the work of the rest of the company as a whole. Delegate certain tasks rather than trying to do everything yourself. Management assignments that are time drains for you can actually be quite empowering for your employees — and they give them the chance to expand their scope and responsibility. Amit: How do we motivate managers to lead better? Amit: At one of my first internal Google events after joining the company, I saw Larry (Larry Page, CEO) speak, in what was also one of his first engagements since taking over as CEO. Someone from the audience said, “my Android phone is running out of battery,” and he responded with, “Why don’t you give it to me, and I’ll fix it for you.” He proceeded to take the phone and try to fix the battery problem. At that moment, I thought, “this is a company that I want to be a part of.” I saw a leadership style I could relate to. Do you have any favorite leadership tips from other executives here? Laszlo: Urs Hoelzle, our SVP of Technical Infrastructure, has this great rule: if you get an answer you don’t understand, it’s ok to escalate it, because you deserve a clear answer that makes sense to you. As managers, we should be fine when someone from our team escalates to better understand a decision. It’s not a threat. It’s not going to make us look bad. We learn something while our team has a chance to feel empowered and motivated by the new knowledge. Amit: What’s on the horizon in the world of making people happy when they work? Laszlo: Right now we’re doing research around unconscious bias, with the hope that we can make a profound difference in how people treat each other. It’s hard to change a person’s fundamental beliefs, but you can manage outward expression of beliefs. We find that when people take a moment to reflect, they respond rationally, rather than impulsively. And when people do this, they make less biased, better decisions. Amit: Any interesting work trivia or seeds of wisdom that I haven’t asked about yet?